2014 turned out to be a boom year for the Surfrider Foundation’s volunteer-run Blue Water Task Force water testing program. Total testing was up 30% from the previous year. 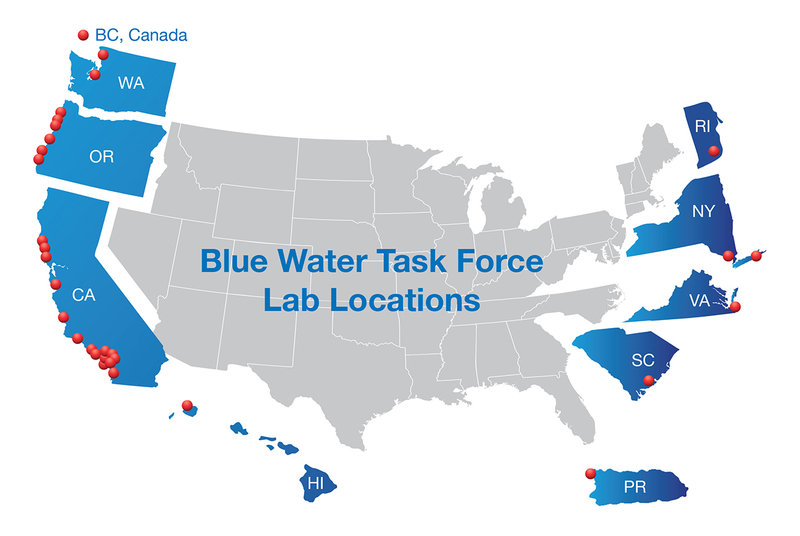 During 2014, volunteers from 30 BWTF labs processed more than 4,000 marine and fresh water samples collected from nearly 300 distinct sampling sites located across the country. The time and interest that Surfrider chapters and volunteers continue to dedicate towards monitoring the water quality at their local beaches and building community awareness of pollution problems is truly inspiring, especially as our federal government continues to threaten to withdraw financial support for beach water testing programs. Those of us who love the ocean have a responsibility to help protect it. Get involved and take a few minutes to email Congress and ask them to restore federal funding to support beach water testing programs at your favorite beach and at beaches across the US. During 2014, the Virginia Beach Chapter and the Vancouver Island Chapter in Canada both established new water testing programs. Two new high schools also joined the BWTF this past year, Bandon High School supported by the Coos Bay Chapter in Oregon, and Northwood High School supported by the Newport Beach Chapter in California. Download the 2014 BWTF Annual Report here to check out the water quality results reported last year and to learn how Surfrider chapters are using their BWTF data to raise public awareness of local water quality issues and to bring together local stakeholders and governing bodies to investigate and solve water pollution problems. Surfrider’s diverse membership is motivated by their common love for the ocean and a strong desire to protect our beaches for everyone’s enjoyment. The BWTF is a great vehicle for volunteers to participate in science and to motivate coastal communities to take action to clean up our watersheds and improve the water quality at our beaches. Well done BWTF. Well done.